KINGERSONS - Your AC Wholesalers - Low Prices - Factory Direct - Warranty Included - With Complete Package Deals - Ships mostly within 24 hours!! Why buy from Kingersons ac wholesalers? With Kingersons not only you get wholesale prices on air conditioners and heat pumps, but you can also be assured that you are getting brand new and not refurbished units. We have been selling direct to consumers for more than a decade and we are listed with Better Business Bureau with excellent rating. Why are Kingersons products so cheap? Is it cheaper to buy online, then from my local air conditioner installer? 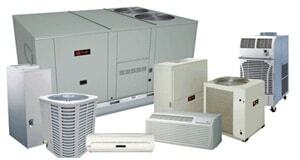 Normally your local AC contractor would buy the product from distributor like us and sell it to you at a retail price. But in this case you can buy directly from us at wholesale price and have any local HVAC company install it for you. In this case you are buying factory direct brand new units. How to size my room and determine the correct btu's for my application? You can also call us and one of our experienced HVAC professionals will help you with making informed decision as well. 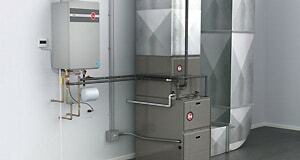 Would Kingersons AC Wholesalers recommend installers? We do not recommend any names. Any local AC company with a business and EPA license can install such units. They are easy to install and all units pretty much require similar installation. You can check your local newspapers or yellow pages or find any local HVAC company on craigslist for example. Do you provide with an installation guide? Every product we sell comes with Installation Manuals and Tech Support Toll Free number. To get more info beforehand on how these are installed, visit our split system installation guide page here:- How To Install Split Air Conditioner? How does your warranty work with Kingersons AC Wholesalers? Manufacturer warranty: Depending upon what brand you buy, you will have compressor warranty anywhere from 5 - 7 years and from 1-5 years on parts. Normally if the units are installed as per the manuals chances of anything going wrong with them is slim to none. But if you do end up having issues with the unit few months or years after the installation you will have a toll free number for your tech support. After running diagnosis you will be given a case id number and the part number. Once you have that information you will contact us with that information and that part will be shipped to you free accordingly. Why should I buy the air conditioner? Why not let my installer buy it? Warranty stays in the name of the buyer. If your installer goes out of business after a year, your warranty goes along with their business in most cases. It is always safe to buy a product in your name, so any/all warranty stays in your name. Third party warranty cases are tricky and cause a lot of time delays and aggravation and in many ways you will be forced to use the same installer for the repairs if and when needed. Buying product directly will always expedite the process and provide multiple options. Absolutely, anything that is available in the industry with current technology and energy efficiency, is available on Kingersons website. We have several brands, thousands of products and hundreds of energy efficient air condtioner units. What brands do you sell? What brand is the best for my need? We carry Mitsubishi, LG, Fujitsu, Daikin, Rheem, Frigidaire, American Standard, YMGI, Aircon, Klimaire, Senville, Friedrich, GE, GREE and many more brands. Brand selection in our opinion should be based on your requirement. It is important to figure out what you need and what type of air conditioner is good for your application. Whether a wall mount is the solution or a ceiling mount is something to consider for example. Then it boils down to how many btu's you need for your application. Once you have determined that, you can compare prices and features and buy the product accordingly. Can you help me decide what air conditioner I would need for my house? Absolutely! For your convenience we have setup above btu calculator that you can use to get an approximate idea of how many btuâ€™s you need for each room. Again you can call us for any help that you may need to make your decision. We are open M-F 9 AM â€“ 5pm and any of our experienced HVAC professionals can assist you in making the right choice. We have our corporate office in Florida. But warehouses are in NY, NJ, CA, AZ, FL, CO, TX, MO and GA. We have one new location in Toronto, Canada for selected brands only. How do we buy from Kingersons AC Wholesalers? For your convenience we have setup online store for you to browse through list of products and brands that we sell. You can either buy directly from website or you can call us to place an order. What is the turnaround time on shipping for air conditioners and heat pumps? We normally ship within 24 hours. Once the product is shipped, we will email you the tracking number. Depending upon your location from our warehouse you will receive it within 1-5 business days. What method of payments do Kingersons AC Wholesalers accept? We accept any/all method of payments. You can pay using credit card, check, money order, cash or direct wire transfer..
Is there a discount on multiple products? Absolutely. Just email us the list of products you would like to buy and we will send you a quote with discounts accordingly. Can I pick up my order instead of getting it delivered? It is possible. We have several types of air conditioners. Not all products may be in every single warehouse. It depends upon the product and brand you choose. If it is not available in your local warehouse, we will ship them out from the closest possible warehouse for fastest delivery. How long have you been in business? Are your products authentic and brand new? Not a lot of online distributors have Better Business Bureau links on their website for obvious poor ratings. So not only you will pay less at Kingersons, but you will have peace of mind that you have a company that will help with the warranty for years to come.